Takashi Ōtsuki is deputy chief of the Disaster and Meteorological Center at the NHK News Department, where he is in charge of large-scale disaster preparedness and coverage planning. Previously, he worked at the outlet’s regional branches, the TV News Department and the City News Department, covering various types of natural disasters including the eruption of Mount Oyama on Miyake Island, Mount Usu in the northern part of Japan and the 1999 İzmit earthquake in Turkey. 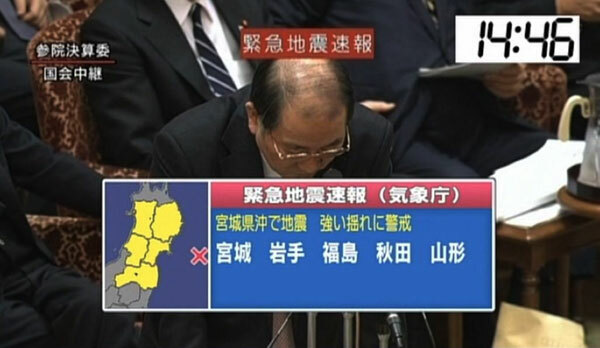 When a massive earthquake struck Japan the afternoon of March 11, 2011, NHK, Japan’s only public broadcaster, was broadcasting a live debate on its main channel. 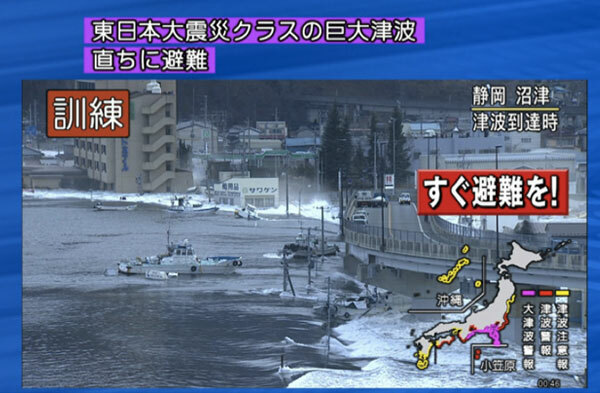 A minute after JMA’s alert, all of NHK’s TV and radio programs switched to live studio coverage about the earthquake, and the related tsunami warning. NHK works closely with the JMA to ensure a high standard of disaster preparedness and the rapid communication of events. NHK set up a system that allows us to quickly create graphics and automatically produce news scripts for on-air personnel. 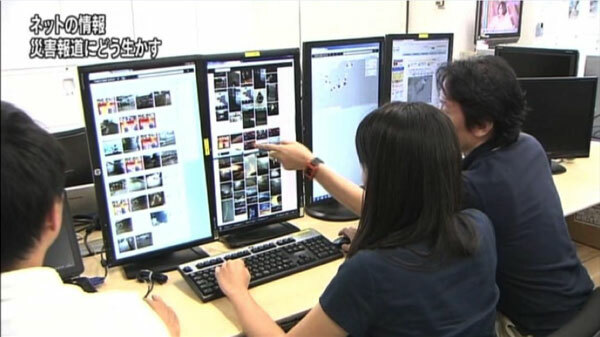 NHK also carries out training every day after midnight when no programs are aired. (This is because we are constantly monitoring and reporting on earthquakes.) These commitments to disaster preparedness meant we were able to quickly move to live coverage immediately after the quake was detected. Disaster preparedness at NHK doesn’t solely rely on the JMA alerts. 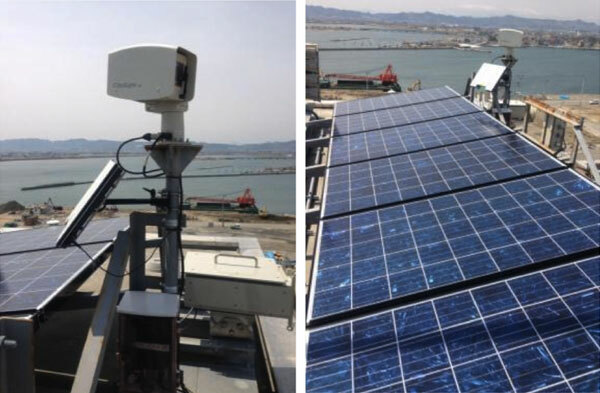 We also operate and monitor footage from 500 robot cameras set up in major cities, in coastal areas and around nuclear power plants. This provides us with an amazing amount of live footage when a disaster strikes. 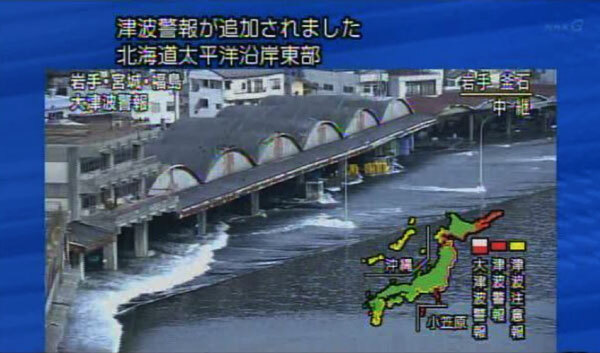 For example, during the earthquake, a camera captured a tsunami wave 30 minutes after the quake was detected (shown below). 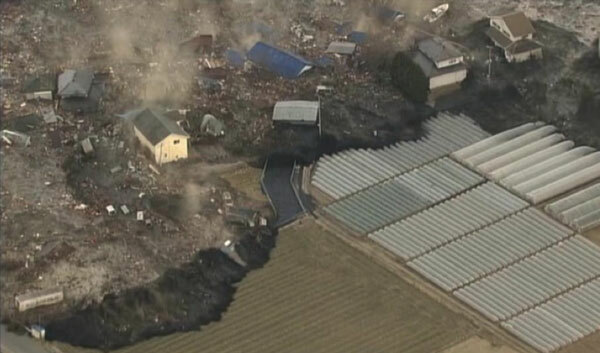 Along with cameras, NHK used aerial images captured from helicopters to show the effects of the quake and tsunami. It meant we were able to broadcast live, unforgettable footage of a tsunami wiping out houses in Sendai — a mere hour after the quake (see below). By 2014, we will have 15 helicopters stationed in 12 locations around Japan. This will enable us to reach, and broadcast from, any location in the country within an hour. 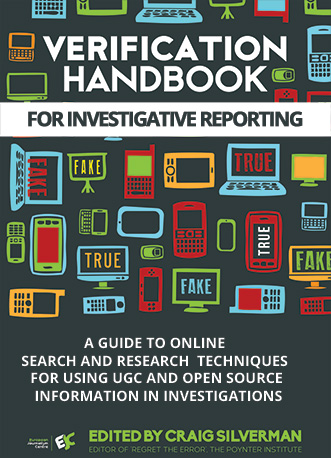 We improved disaster reporting to ensure it can be understood both visually and auditorily. Our previous disaster broadcasting emphasized a detached, factual approach focused primarily on communicating the details of a quake (such as its epicenter, the expected height of any tsunami, etc.). Today, a newscaster will, in case of a major emergency, immediately call upon viewers to evacuate, when necessary. Newscasters also emphasize the need to evacuate calmly, so as no to cause panic. In addition, we use a visual ticker that can appear whenever there is a call for immediate evacuation (see below). This ensures that people with hearing disabilities receive the essential information. In the wake of the 2011 earthquake, many media outlets relied on press releases from the government and power company to report the situation at nuclear power plants. This was in part a result of limited access to the plants, and it meant we were unable to independently verify the information. To better prepare and ensure that we can present official information in a more accurate context, we now train journalists in scientific and specialized topics. We also seek out and present the opinions of multiple experts, and deliver forecasts of the impact of a quake and any nuclear power plant accidents. People in disaster-affected areas used social media to connect with local print and radio outlets, and with one other. 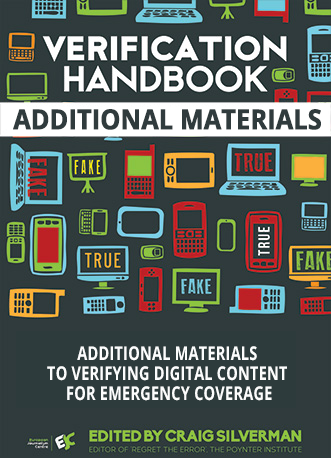 In order to ensure that our reporters use social media effectively when covering a disaster, NHK developed new guidelines that provide protocols to deal with user-generated content, such as including caveats related to the level of verification we were able to apply to a given piece of information. 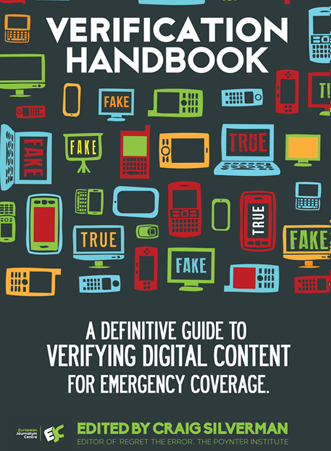 The guidelines also include advice on how to identify fake information. In addition, we established a “Social Listening” team that focuses on social media monitoring and verification. The team (seen below) makes heavy use of Twitter Lists to pre-establish a network of reliable sources for better monitoring and fact-checking when an event occurs. NHK developed its own user-generated content platform, NHK ScoopBox. The platform gathers an uploader’s personal details and location, making it easier to directly contact and confirm their content. When a tornado struck Kanto region in September 2013, ScoopBox enabled us to source and verify 14 items of user-generated content that was used in national and local broadcasts.